This is the best value of all of our gifts! We think you will agree. Order for someone special today. 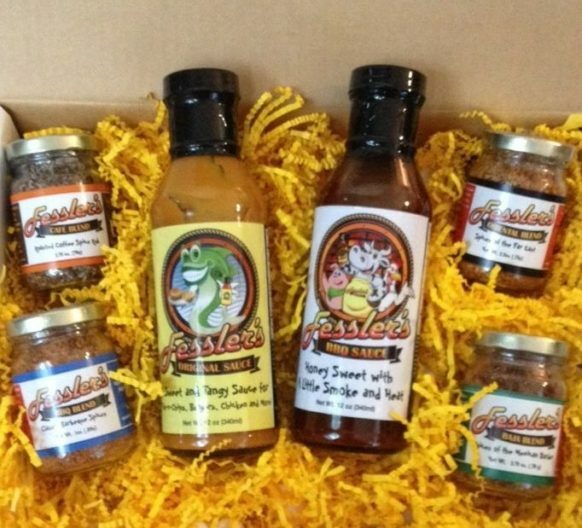 Sauces/Rubs Gift Box is a perfect gift! Here are the goods! 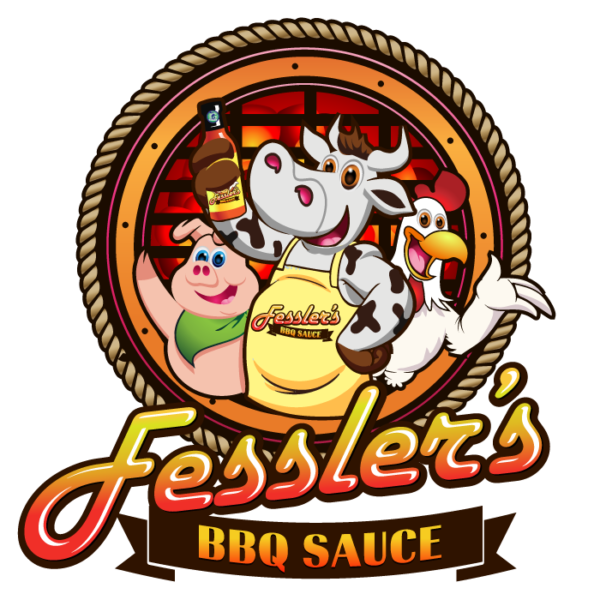 First you’ll get both of our award winning sauces: Fessler’s Original Sauce and Fessler’s BBQ Sauce. 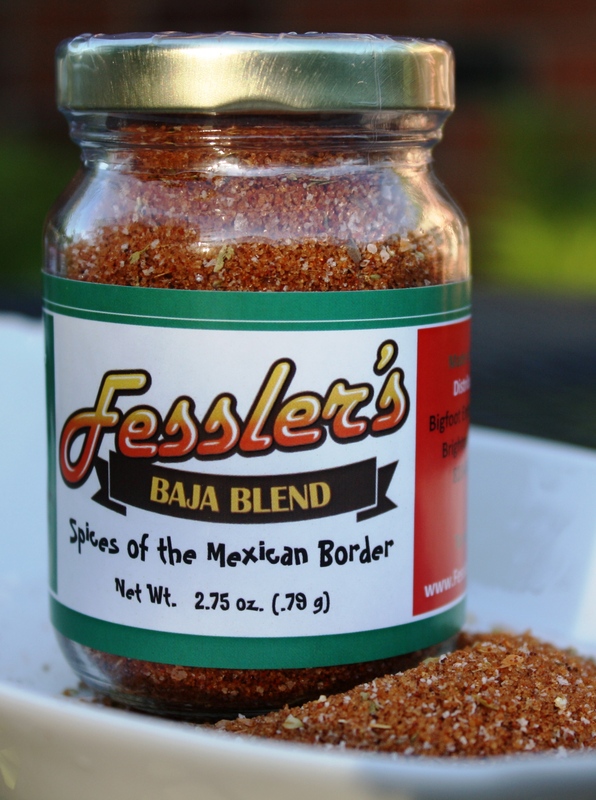 Plus all 4 of the Fessler’s fantastic flavorful handcrafted spice blend/rubs; Baja, Oriental, Café and Classic BBQ rub. 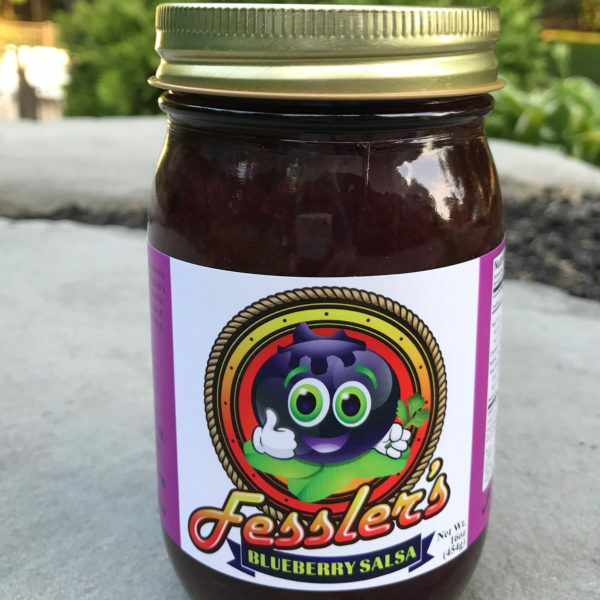 Packaged conveniently and ready for gifting. Ready to ship today! 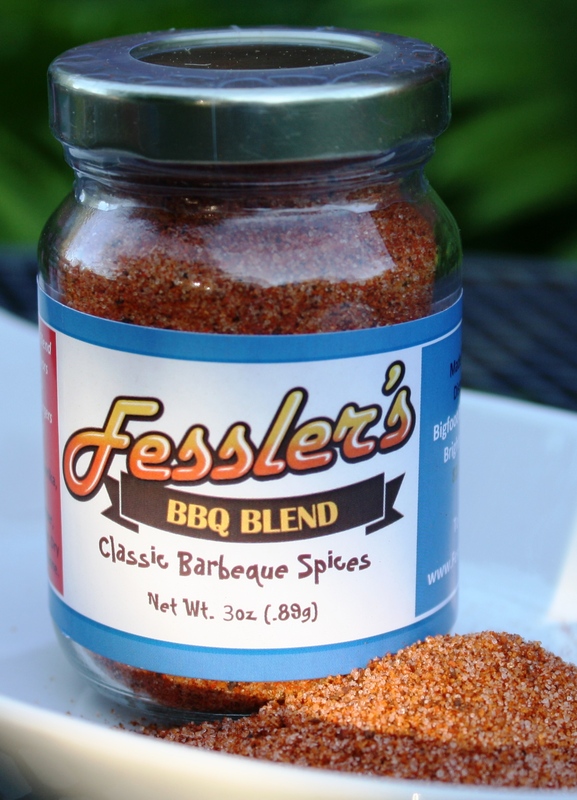 Try our awesome meatloaf recipe using Fessler’s Original Sweet and Tangy Mustard Sauce!